I went on a long weekend dive trip with a friend. 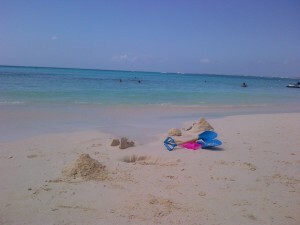 We stayed at the Marriott on 7 Mile Beach. This was a very nice property. Since I was there such a short period of time my knowledge is limited. Take the local buses (look like vans) just head to the street and they will stop to pick you up, you will pay a couple dollars to get around. Taxis are very expensive. We asked people to share with us at the airport and when I left for the airport I went to the lobby and found other travelers leaving the same time. Coconut Joes: Across the street from the Marriott was a local bar/restaurant. Fish tacos and burgers were good, there’s no view but a great atmosphere. 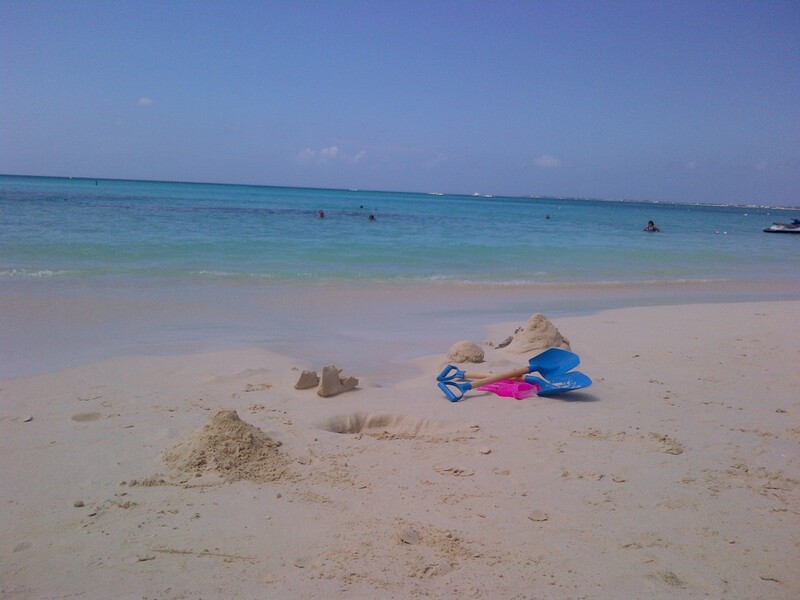 Not to mention prices are better than the resorts. Rackams: A local bar in town is happening for Happy Hour. A lot of locals or shall I say expats hang out here. It’s on the water and I think the free food at happy hour draws the crowd. The restaurant is good for families; they feed the tarpon in water below. Calico Jacks: Fun club where you can dance on the beach under the stars. DJ spinning and the crowd includes people of all ages. 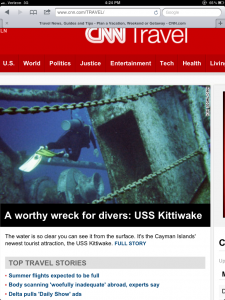 See my story on the USS Kittiwake on CNN.com Click the screen grab below for the link and you will find out why you should dive or snorkel this wreck while in Grand Cayman!! FYI the Dive shop you decide to use will pick you up and drop you off at your hotel. We used Don Fosters, which is near town so after your dive you could have lunch or go shopping then catch a minibus back to hotel. The prices for a 2 tank dive if booked thru the hotel and still required transport was $130 and the Don Fosters was $99. I felt safe and comfortable with the dive masters here. Tell Jason I said hello.